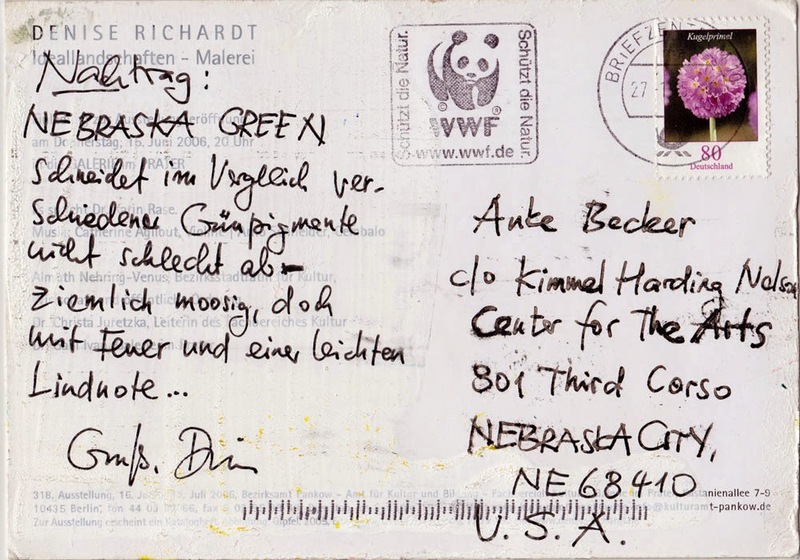 NEBRASKA GREEN - A postcard from DENISE RICHARDT from Berlin, Germany. 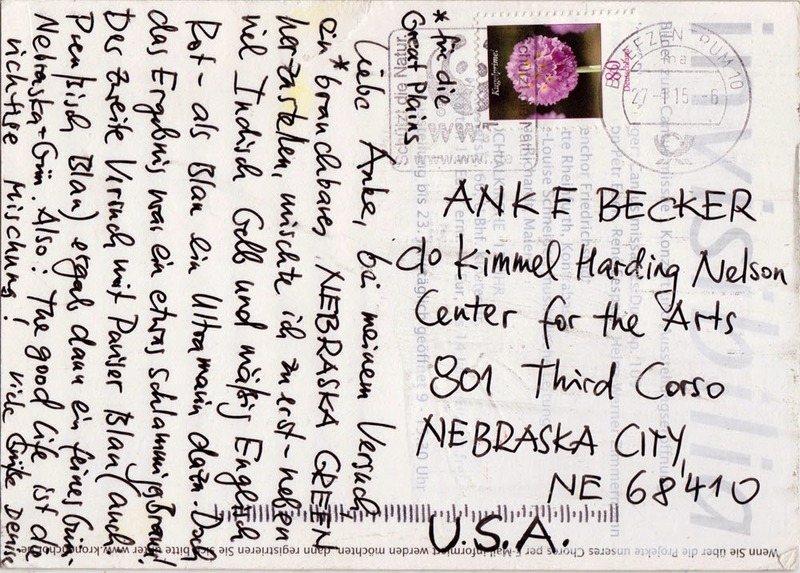 Denise and I studied together at the Art School Berlin-Weissensee in the early 90's. 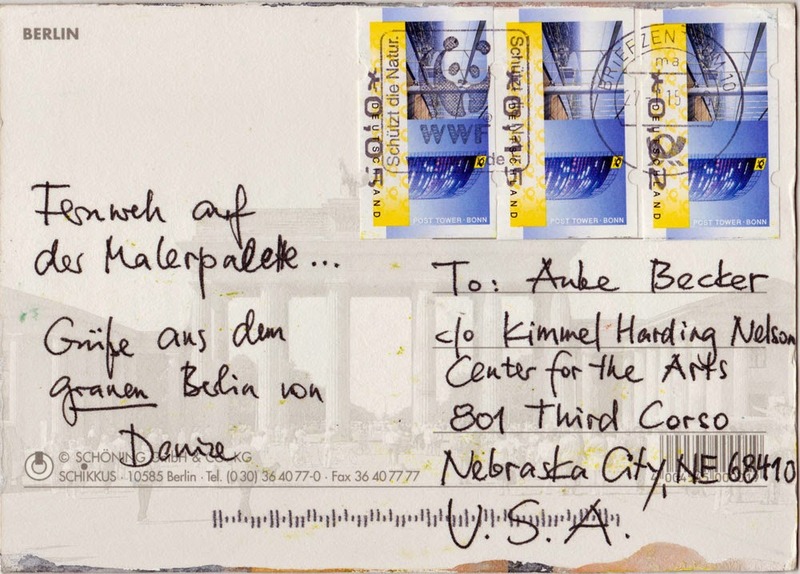 Denise is an amazing landscape painter, born in the Eastern part of Berlin. 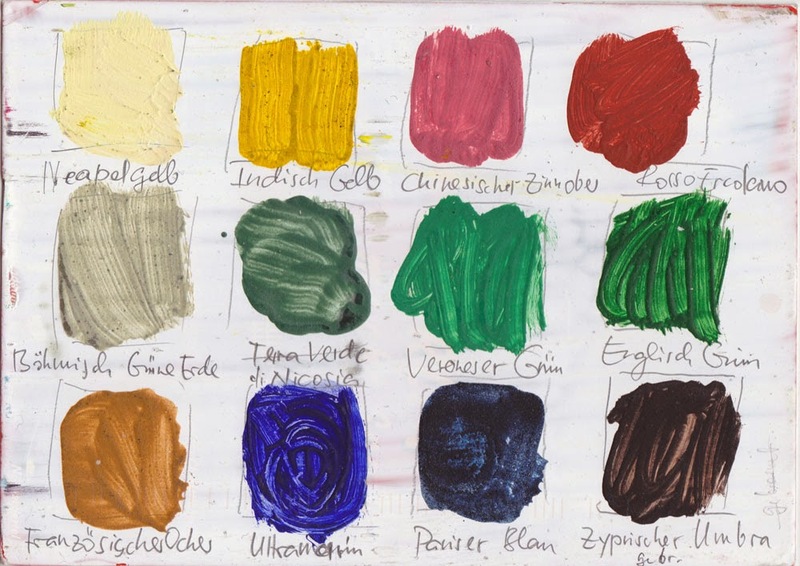 Her way to handle the various shades of oil colors and large-sized canvas is extraordinary. My attempt to make a NEBRASKA GREEN, suitable for the Great Plains, worked like this: I first mixed a lot of Indian Yellow and moderate English Red - and for the blue color I added some Ultramarin. But the result was a somehow muddy brown. 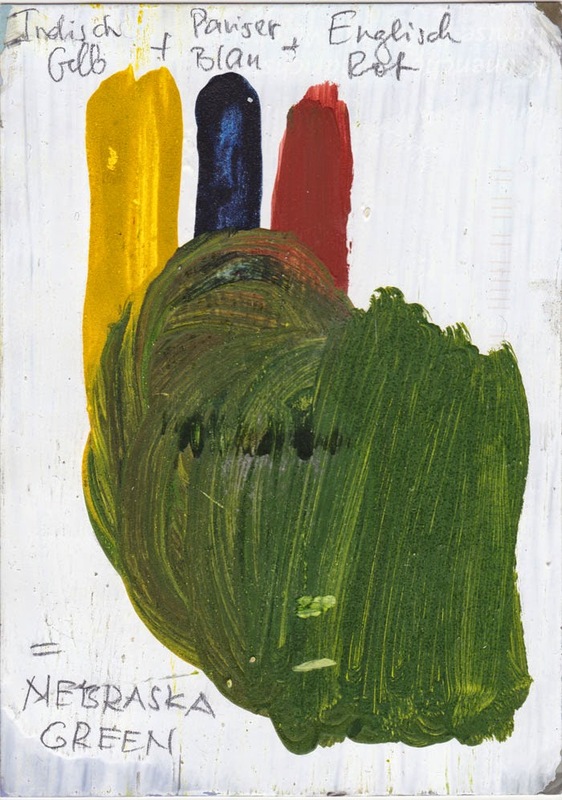 The second attempt with Prussian Blue unfolded a fine Green. Nebraska+Green. Now then: The good life is the proper mixture!
" 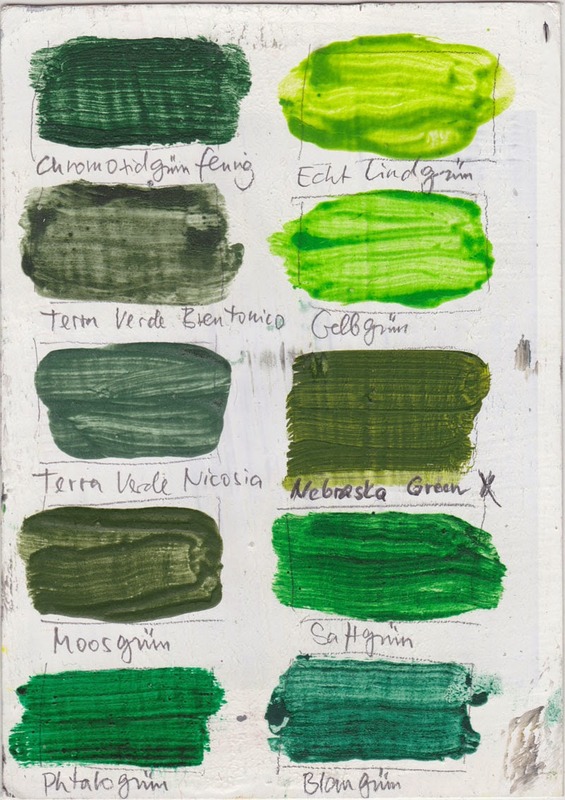 addendum: In comparison with other green pigments the Nebraska Green is doing quite well: fairly mossy, with a slight note of pastel green..."